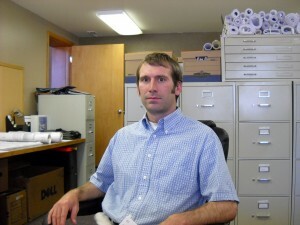 From December 2008 to present Erik has been the Planning Director for Ponderay, ID. As Ponderay’s first planning professional, his duties have been broad and have included building a new program from the ground up as well as grant writing, community projects, parks, and transportation planning. Currently Erik is actively pursuing the Pend d’ Oreille Bay trail project which could result in public access to two miles of lakeshore and get the community safely under an active railroad line. Erik and his family have lived in Bonner County since 2005. He and his wife Mamie have three children and they live in Edna, near the Pack River. For three years prior to working for Ponderay, Erik worked as an assistant planner with the Bonner County Planning Department. During this time period Bonner County was undertaking a major land use code reform project with the help of a consulting team. This experience served as both a valuable exercise in implementing and balancing modern and traditional planning ideas, and a “trial by fire” immersion in the public planning process. Prior to moving to north Idaho, Erik and his wife Mamie lived in the Seattle area where he managed site development for The Cottage Company’s innovative housing projects. While in Seattle, postgraduate coursework at the University of Washington prompted a career transition from natural resources biology to social sciences and human development patterns. Prior to Seattle, Erik lived in Wyoming for three years where he conducted cutthroat trout research for the Forest Service in the mountains surrounding Jackson. Erik settled in Wyoming after graduating from Mansfield University of Pennsylvania in 1999 with a B.S. in Biology with a focus in fisheries management. Erik spent his childhood days running about in the fields, forests, and streams of central Pennsylvania.